If you follow me on instagram, you know my love for burgers and often joke that I should have named my blog I run for cheeseburgers. 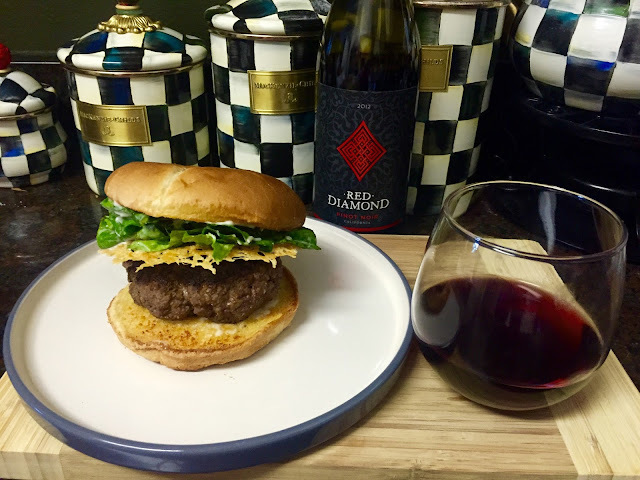 In last month's Rachael Ray magazine, I noticed a recipe for an open faced Caesar Salad Burger and wanted to make a spin on that. I made a Caesar Salad Burger, using a Parmesan Crisp instead of melted cheese and topped it with the salad. I also toasted the buns as if they were garlic bread, to give it that extra savory touch, This burger was delicious and we will be making it again. I paired the Caesar Salad Burger with a bottle of Red Diamond Pinot Noir. 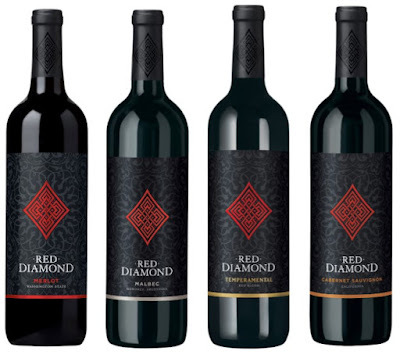 Red Diamond recently had a packaging makeover with an eye-catching new label. This Pinot Noir was a perfect companion to the burger and you can find it in stores for less than $10 a bottle. Preheat oven to 400. Make the Parmesan crisps according to the recipe above. Mix the ground sirloin and Dales seasoning. Form into burger patties. Either grill the burgers to your desire, or cook in a cast iron skillet (my preferred way to cook a burger). I sear the burger for 2 minutes on each side, then throw in the oven at 400 for 5 minutes. Mix your lettuce with the Caesar Salad dressing (from recipe above). I used my leftover salad as a side dish. Toast your buns with melted butter and garlic powder. Place your burger on the hot toasted bun, followed by the Parmesan crisp and Caesar salad. 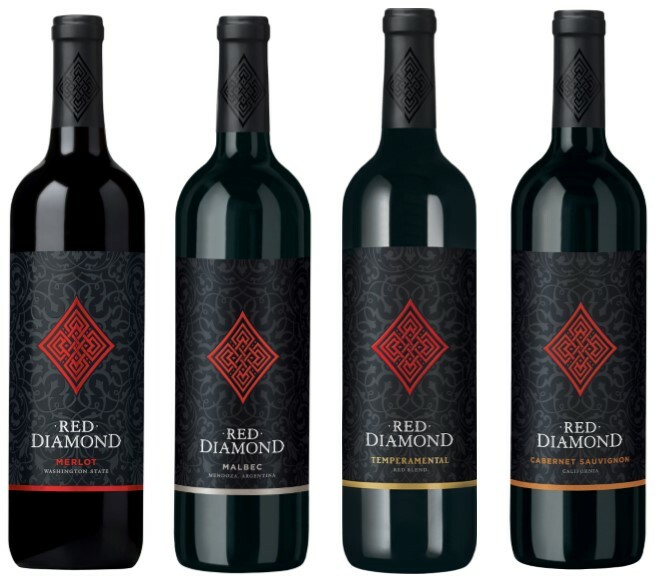 Red Diamond Pinot Noir offers bright cranberry and raspberry aromas with a bold black cherry flavors. Pinot Noir grapes were briefly cold soaked to extract color, aromatics and fruitiness. Primary fermentation took place in stainless steel tanks for 6-10 days on the skins. The wine was aged in French oak for added complexity. 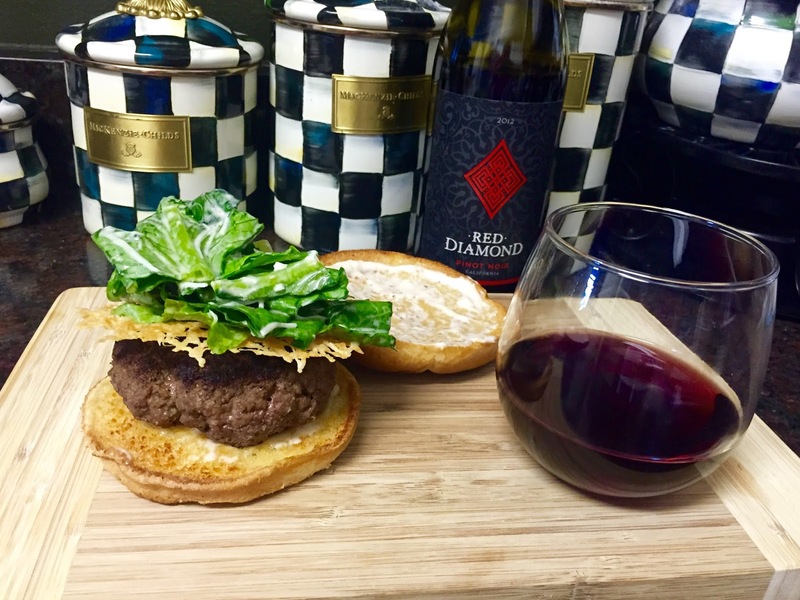 Pinot Noir is extremely versatile, and pairs well with a variety of foods.